Dr. Hooi takes center stage as he discusses the prevailing structure of cosmetic medicine in Sydney, Australia. That's interesting: Dr. Hooi completed an Honours Law degree at the University of Western Australia and obtained further real-world legal experience with a top tier Australian law firm. Dr. Hooi has been admitted to practice as a Solicitor and Barrister of the Supreme Court of Victoria. Although he is no longer practising law, Dr. Hooi maintains a keen interest in legal medicine. Dr. Hooi is a member of the Australasian Society of Cosmetic Medicine and is an Associate Member of the American Society of Laser Surgery and Medicine. Dr. Hooi’s training and experience led to his award as a Foundation Fellow of the Australasian College of Aesthetic Medicine in 2009. In 2010, Dr. Hooi was selected to become the national trainer in Australia for the Fibropen System, platelet rich plasma (PRP) and Radiesse. You have a very interesting career progression. Can you tell us about your transition from Emergency Medicine to Law to Cosmetic Medicine? I suppose one could consider my own career path to date reasonably unique. I am one of barely a handful of Emergency Physicians in Australasia to have moved into Cosmetic Medicine. I feel Emergency Medicine provides a great entry into Cosmetic Medicine. You get a thorough grounding in acute medicine and gain practical knowledge in assessing and treating the entire range of acute and chronic diseases. Emergency Medicine is also very procedural and you become very good at handling and repairing skin. Having gone through a formal training and examination process at the postgraduate level, you tend to approach the theoretical aspects of Cosmetic Medicine with the same rigour and depth of academic study. For some doctors, it is enough to learn how to do it and then do no more. For me, I always ensure that what I am doing is safe and effective. This occasionally means recognizing that some patients will not particularly benefit from a non-surgical procedure and deciding that you cannot treat them. In my junior days I hadn’t really considered Cosmetic Medicine as a career option mainly because at that point in time at the beginning of the 90s, Cosmetic Medicine didn’t really exist. There was no cosmetic Botox, no hyaluronic acid fillers, collagen was just being developed as a commercially viable procedure and there were few (and prohibitively expensive) lasers being used to improve the appearance of skin lesions. I obtained some training and then commenced performing chemical peels in 1990. After working in Emergency Medicine at consultant level for a few years, an opportunity came up to study law and I followed that path for a few years eventually leading me to work in one of the top law firms in Australia. Throughout my law studies, I continued to practise Emergency Medicine but time constraints prevented me from performing much Cosmetic work. This was a rather interesting time as there was certainly explosive growth in non-surgical cosmetic procedures and the field was developing rapidly (as it still is). It was only after finishing my law degree that I could finally devote more professional time to Cosmetic Medicine. After opening my own clinic in my home town in the Southern Highlands, work started trickling in from Sydney and then steadily grew to the point that I moved to Sydney so that I could practise Cosmetic Medicine on a more regular basis. I started work at a number of high-profile clinics and have continued to build my practice to date at a number of locations in Sydney and Canberra. What is it like practicing cosmetic medicine in Australia? Tell us more about the medical operations and legal requirements for physicians in Australia? I suspect the day-to-day practice of Cosmetic Medicine in Australia is not really that different than in the US or Canada. Having met a few Cosmetic Physicians and Surgeons from around the world, we generally have the same issues with our patients, our products and devices and our regulatory bodies. As Australia (like Canada) is a Commonwealth country, we have inherited most of our legal system from England though it has developed independently for only the last 30 years or so. The legal framework of medical practice is mostly common law but there are statutory requirements for registration and there is a national registration authority that oversees registration and disciplinary proceedings. Although the Australian health system is a complex beast, it is essentially based around a national taxpayer funded system called Medicare. There is also a well-developed private health system funded through private health insurance, which both supplements and complements Medicare. I believe the US has a program of the same name, but the Australian Medicare system is quite different. The Medicare system ensures that all public hospital services are free of charge to patients. Out of hospital services provided by general practitioners (family doctors) and specialists are partly remunerated by Medicare and the balance is made up through private health insurance and direct payments from patients. Through Medicare, the Commonwealth government can exert a degree of control on medical services by limiting doctor’s remuneration to procedures that are listed by Medicare and through a Medicare provider number system. Medicare provider numbers are distributed to doctors who have finished either specialist or general practice training and the possession of a provider number allows doctors to claim Medicare payments. The remuneration for any procedure not listed by Medicare is a private matter between the doctor and the patient. This includes most, if not all, Cosmetic Medicine procedures. While some routinely think that Cosmetic Medicine encompasses both surgical and non-surgical procedures, I think it important to make the distinction between Cosmetic Medicine and Cosmetic Surgery, at least in Australia. Although there is some slight overlap in the range of procedures performed by both groups, most Cosmetic Medicine doctors perform injectables, laser treatments, peels, fat transfer and threads but would not be offering purely surgical procedures such as large volume liposuction, facelifts and breast augmentation. The latter should be provided by those doctors with more surgical experience in clinicsappropriately set up for surgical procedures. In Australia, registered nurses are permitted to perform injectable treatments such as botulinum toxin and dermal fillers under supervision of a doctor. These treatments are classified as prescription-only drugs. Generally, the patient would be seen by their doctor, be assessed as appropriate for one or more injectables treatments and then either be treated by the doctor or a registered nurse. Most clinics operate this way. As Cosmetic Medicine and Surgery are not subsidised through the Medicare system (and undoubtedly for other reasons), there are no academic departments of Cosmetic Medicine and Surgery in our University Medical Faculties. Therefore, what little research that is being done is generally being funded privately and more limited in scope. How is cosmetic medicine regulated in Australia? As Cosmetic Medicine in Australia is largely outside the realm of Medicare and public hospitals, there is little direct regulation by government. Doctors practising Cosmetic Medicine must obviously be registered to practice and be generally in good standing with the registration authority. Apart from the so-called “core group” of dermatology and plastic surgery, there are many doctors from other specialties practising Cosmetic Medicine. Most Cosmetic Physicians come from General Practice (many of whom have an interest in skin cancer) but I know of internists, anaesthetists, gynaecologists and a large group of otherwise non-specialist doctors that are now practising Cosmetic Medicine. There are a number of competing professional bodies (Colleges) representing different groups of Cosmetic Medicine (and Cosmetic Surgery) in Australia. At present, none is recognized by the Australian Medical Council as being the sole representative body or training body for Cosmetic Medicine and Surgery but there have been discussions for a number of years about the best way forward for structuring and regulating the specialty of Cosmetic Medicine and Surgery. Is there a government regulatory body that approves medical treatments and technology? Can you use new technologies that gain approval in other countries or does Australia regulate medical technologies independently? The Therapeutic Goods Administration (TGA) is the regulatory body that approves all medical devices and pharmaceuticals in Australia. It works similarly to the FDA in the US. Generally, before a new device or pharmaceutical drug can be used on patients in Australia, it has to be subjected to a rigorous assessment process for safety and prior FDA and CE approval is usually expected. Because of this long and involved assessment process and coupled with the fact that Australia is a smaller market, we do not have the same range of botulinum toxins, dermal fillers or medical devices as in Europe or the US. How does malpractice insurance and liability work in Australia? The law of medical negligence (or malpractice) in Australia is derived from English law and consequently has basic similarities to the law in the US. While Australian patients had traditionally not been as litigious as their US counterparts, there has been a gradually increasing trend of patients resorting to their lawyers for redress for malpractice over the last 20 to 30 years. However, statutory tort law reforms about 10 years ago have changed the landscape for the better for malpractice claims. Cosmetic Surgery is still positioned fairly high in terms of claim amounts (and media popularity); Cosmetic Medicine, on the other hand, is probably not as much. It is essential for all medical practitioners in private practice to have their own malpractice insurance. There are several providers of malpractice insurance in Australia, though competition is not hugely evident. Premiums for Cosmetic Surgery tend to be at the top end of the range, similar to neurosurgery or obstetrics, while those for Cosmetic Medicine are similar to those for procedural GPs (i.e., at the low-middle end of the range). What typically happens when patients experience complications or are unhappy with results? What do your patients expect in terms of services or outcomes? I can only speak about my own experience here. During my consultations with patients, I take them through the procedure and explain the expected effects and known risks and side effects. The consent form documents what we have discussed and I often give patients an information sheet on the particular treatment to take home. Follow-ups are scheduled routinely for new patients and my clinic staff also perform telephone follow-ups for most patients. Whether through good skill or good fortune, I have had very few complications with my injectables treatments. Of course, the results of most Cosmetic Medical procedures are temporary and most side effects are also temporary. I tend to be fairly conservative in my approach to injectables and the settings used for laser treatments, which minimizes the risks of adverse events. Many physicians are just beginning to hear about PRP treatments. Can you give us some background about your experience with PRP treatments and where you see them fitting into a cosmetic practice? I first started performing platelet rich plasma (PRP) treatments over 3 years ago. At that time, PRP had been around for a couple of years in Europe. In 2008-09, there was only one PRP device that had had TGA approval for clinical use in Australia – Regenlab. I am aware Selphyl was around about the same time but they had no distributor and no real exposure. I was attracted to Regenlab because of the simplicity of its use, the low start-up costs and its effectiveness. My clinic was amongst the first few clinics to use Regenlab-PRP. In 2010, I was asked to present a lecture on the basic science of PRP at one of our annual conferences and have conducted a number of workshops and further lectures since then. Over the last few years, I have also had the opportunity to meet with other American and European doctors performing PRP. My experience has been that, at the basic level, our work is very similar, but I am constantly learning from my colleagues about the different ways that PRP is being used in Cosmetic Medicine either as a stand-alone treatment or as an adjunct to other procedures such as, for example, fractional laser. The treatments of the future will almost certainly be autologous-derived and the focus will be regeneration and not merely rejuvenation. We had a taste of this around 10 years ago when Isolagen arrived on the scene. It was a good idea but in retrospect, perhaps way ahead of its time. The current fanfare around stem cell therapy is provoking renewed interest in regenerative medicine. However, stem cell treatments for cosmetic purposes are still in their infancy. I think this is where PRP will shine – at least as an interim modality until adult autologous stem cell therapy becomes more mainstream and technically feasible as an office-based procedure. I really believe PRP will become an established procedure alongside Botox, dermal fillers and laser. It is steadily growing in popularity in Australia and this is simply due to the fact that it works. I have found it an effective treatment for improving skin texture and mild skin laxity, especially in the lower eyelids and in the neck; both areas that are difficult to treat with the other modalities. It has also begun to be more widely used as a treatment for male-pattern baldness. Do you see a time when cosmetic surgery is going to be replaced at least in part by nonsurgical technologies? Is this an opportunity or threat for surgeons? As I am not a Cosmetic Surgeon, I cannot comment on what a Cosmetic Surgeon would think about nonsurgical technologies nor can I comment on the future of Cosmetic Surgery. Where do you see the most competition from other physicians in Australia? How do you run your business in order to compete with them? As a general rule, I tend not to worry about the competition. I focus on achieving results that are realistic yet natural and I avoid attempting to fulfill unrealistic expectations. This just reflects my conservative approach. Of course, this is something easier said than done. There is a natural tendency of physicians to want to help their patients and this is a habit that has to be unlearned! For someone just starting out in Cosmetic Medicine and with limited expertise in a small range of treatment modalities, it is difficult learning how to stop yourself from treating a problem with a drug or device that is not appropriate for the particular problem. Maslow’s hammer is an ideal statement of this problem – “if your only tool is a hammer, everything looks like a nail”. I suppose this problem is more acute with Cosmetic Surgeons - not every concern of a patient is fixable by surgery. I often consult patients that are unhappy with the treatments they have received from other clinics. I think the experiences of these patients are a great learning tool for my own practice. You often help the patient by enabling them to discuss their concerns and you help yourself by learning how not to make the same mistakes (if any were made). The best advice I have ever received about the approach to the business of Cosmetic Medicine was from an experienced New Zealand based Cosmetic Physician who told me the most vital guiding principle was to always “under-promise but over-deliver”. About: Dr. Herbert Hooi is a Cosmetic Physician in private practice based in Sydney, NSW, Australia. Dr Hooi completed his medical degree at the University of Sydney and then completed training in Emergency Medicine. He later completed a law degree at the University of Western Australia and has practised law at a top-tier law Australian law firm. He commenced performing cosmetic injectables around six years ago and has become recognized in the industry as an advanced injector and offers a full range of cosmetic medical services including botulinum toxin injections, dermal fillers, platelet rich plasma, skin rejuvenation, skin tightening, fat reduction and threads. 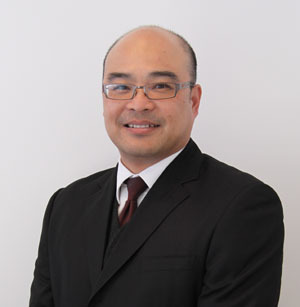 Dr Herbert Hooi is a Foundation Fellow of the Australasian College of Aesthetic Medicine and is a trainer in a number of treatments including platelet rich plasma and dermal fillers.